Bring the best of Google AI to customer service. 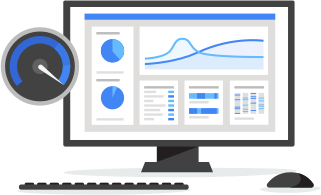 Contact Center AI solutions combine the best of Google AI with popular contact center software, improving customer experience as well as operational efficiency. The result? More personalized, intuitive customer care from the first "Hello." No more frustrating phone trees. 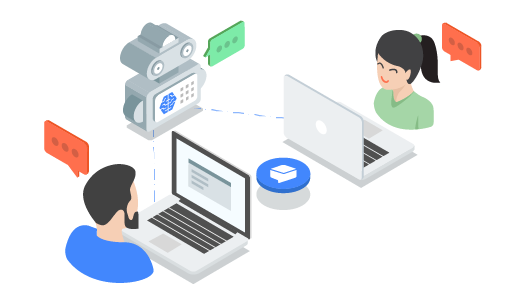 Contact Center AI solutions rely on Google’s natural language understanding and speech capabilities to automate simple, common interactions, doing handoffs to live agents when needed. With Contact Center AI solutions, live agents get recommendations in real time (thanks to speech recognition and search technology from Google) about knowledge sources that can help resolve customer issues more quickly and helpfully. Machine learning uncovers and categorizes popular customer questions along with all their variations, helping analysts more quickly formalize responses that will please those customers. Contact Center AI solutions help you improve customer satisfaction with the resources, skill sets, and contact center software you already have, with no expertise in machine learning required. A conversational experience for incoming customer contacts, Virtual Agent leverages Dialogflow Enterprise Edition to respond to customer requests 24 hours a day. This allows live agents to stay focused on high-touch or more complex issues. When a live agent is required, Agent Assist provides real-time assistance to the live agent. 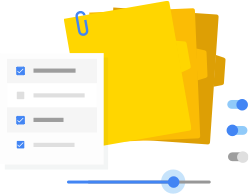 Agent Assist stays active during the conversation, suggesting answers and documents from your enterprise’s knowledge base in real time as needed. Contact Center AI is designed to work with existing contact centers — not against them. You can integrate it with partners you already work with or use Dialogflow Enterprise Edition for tailored experiences. Virtual Agent and Agent Assist integrate with your knowledge base to use documents and articles to address customer concerns. This allows Contact Center AI to reference materials you already use for customer issues. 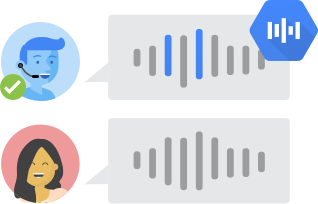 Learn how to build more conversational experiences with Dialogflow. 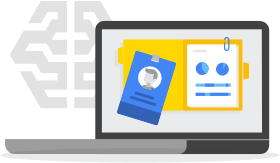 When customers call in, their requests are cataloged and analyzed using Google’s Dialogflow Enterprise technology — for a more intuitive, seamless experience. Compared to rigid hierarchical menus or sequences, Contact Center AI can parse topics based on the conversation, getting the answers customers want, fast. If a live agent is needed during a call, the Agent Assist AI automatically supplies the agent with articles and knowledge documents based on the conversation. No hold music required. Agent Assist will stay on the call to help the live agent with documents from your enterprise’s knowledge base. When customers need specific help, Contact Center AI can use enterprise chat logs to handle unique requests as well as train tailored versions of the Virtual Agent and Agent Assist. Thanks to our strong partner relationships, Contact Center AI easily integrates into existing partner technology. Request more information about the public beta for Contact Center AI.